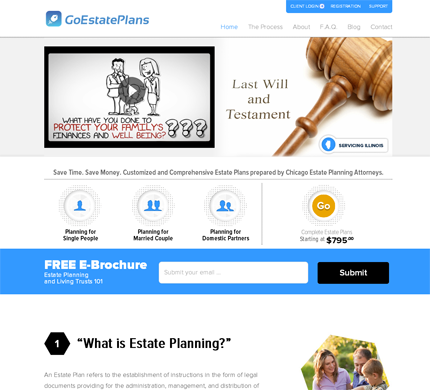 GoEstatePlans.com wanted a new fully custom site for displaying their online estate planning site. They wanted an easy to manage site, so we choose WordPress with the StudioPress Genesis framework and fully responsive child theme. Jim is a superior developer. He handles the work quickly and efficiently. Jim is a pleasure to work with.